We don't have to look too far to see the impact that the subscription-based business models are having on everyday life. We no longer buy music - we listen to it on subscription from Spotify. We no longer buy films, we watch them on subscription from Netflix. In the subscription economy, instead of paying a lump sum up front to own or use something forever, we pay a monthly or annual fee for the right to access that benefit for that period of time. As soon as we stop paying, we lose access to that benefit. Even fairly capital intensive purchases like cars are being impacted by this change. Instead of buying a car outright, more of us are entering into Personal Contract Plans (PCPs) or other similar arrangements where we effectively pay a monthly charge for the right to use a vehicle. Of course, under a PCP we have the right to buy the vehicle at a predetermined price at the end of the deal, but the dealer's hope is that you simply trade it in for a new car on a new PCP arrangement and keep paying. I think that the financial services industry, where I do most of my consulting, has always run on something like a subscription basis. When you open a bank account, you pay for it either through explicit charges or reduced interest rates until you close it. When you take out insurance, you pay a monthly or annual premium. When you invest or take out a pension, you typically pay a monthly 'usage-based' fee based on the value of your assets. As a result, I am quite familiar with many of the challenges that subscription-based business models bring: typically providers' expenses are highest at the start of the relationship, and then they hope that the customers will stay long enough to become profitable. As a result, providers spend a lot of time worrying about how to reduce the costs of acquisition typically sales and marketing, distribution and onboarding) whilst also reducing the churn rate (the percentage of customers who leave during any defined period). 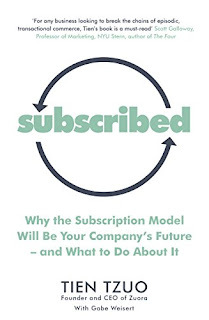 In their book, Subscribed, Tien Tzuo and Gabe Weisert take a broader view of the trend towards subscription-based business models and its impacts. The book sets the scene with some bold claims, such as that "companies running subscription models grow their revenue more than nine times fast than the S&P 500". In fact, there is a whole addendum of juicy numbers describing the rapid growth of subscription-based companies. Most of this seems to be drawn from the usage statistics of a "comprehensive billing and finance platform for subscription-based businesses", called Zuora. Disclosure: Tien Tzuo is the CEO of Zuora. One of the reasons for the success of subscription-based businesses is that each and every subscriber has a unique identifier to which all the data the company collects about them is mapped. I am a little tempted to point out that they may be conflating two separate issues - customer-centric data management and a subscription-based revenue model. The authors point to companies like Amazon, Google, Facebook, Apple and Netflix as evidence of their hypothesis. However, I think Amazon was a runaway success long before it introduced it's Amazon Prime subscription model, and on the basis that it exploited customer-centric data on the basis of unique customer identifiers right from its inception. Amazon, Google, Facebook, Apple and Netflix are all examples of digitally native customer-centric businesses, who also happen to be (increasingly) subscription based. The authors contrast this against 'traditional' businesses that mass produce and distribute physical goods. Such businesses tend to rely on Enterprise Resource Planning (ERP) systems. 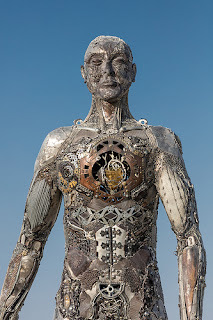 These are designed around physical goods - raw materials and finished products - and while they do a great job of managing operational efficiency, raw materials, inventory, purchase orders, sales, shipping and payroll, they do a lousy job of managing customer relationships and experiences. The book does not discuss Customer Relationship Management (CRM) systems, but I think it is fair to say that CRM systems have gone a long way towards addressing this. However, they are largely still bolt-ons to the underlying ERP-style systems. The result is a far cry from systems built around the customer and customer experience from the ground up. "...set up customer service departments! When in doubt, build another vertical silo—they launched market services, technical support lines, warranty contracts, and maintenance groups. The customer had truly arrived—they had their own department now. And that department was located way down at the far end of the supply chain, just past the loading dock." The book then goes on to talk about consumers changing preferences for services rather than products, for outcomes rather than ownership, and for constant improvement rather than planned obsolescence. Once upon a time, we used to know the people we bought from—the butcher, the baker, the blacksmith, the farmer. We used to know the people we sold to, the neighbors in our village. All that knowledge got lost a long time ago, when the Industrial Revolution ushered in the product era. But it’s coming back in a big way. I suspect this trend is fueled and reinforced by a growing awareness of the environmental consequences of mass consumption over the last century. An added advantage of doing so is, of course, that company's doing so can learn by watching how their customers use their products and services. In the traditional product model, once the customer received the product, the manufacturer typically has little, if any idea, of how the customer used it or even if they used it at all. With a subscription service, providers can gather data on an ongoing basis, analyse that data, and use that analysis to continually improve the product or service. Existing customers can benefit from those improvements immediately, often without needing to pay for a new version or upgrade. So, even where businesses stick with a traditional product-based model, there is an increasing drive to package these with value-added services. For example, Fender now sells a subscription-based online video service called Fender Play, which teaches customers how to play their guitars. Not only does this create an additional revenue stream, but it also creates a more intimate relationship between the company and its customers and reduced the rate at which customers give trying to learn to play. Apparently, International Data Corporate predicts that by 2020, 50% of the world's largest enterprises will see the majority of their business depend on the ability to create digitally enhanced products, services and experiences. The authors argue that traditional businesses rely on advertising to sell individual products to strangers while subscription businesses rely on customer relationships to continue to provide services and upsell new services to loyal customers. They devote a number of pages in the book to describing a challenge that traditional businesses face when making this switch, and which they call "eating the fish" (for reasons which escape me). By way of example, they describe a software business moving from selling on-premise software installations to SaaS solutions in the cloud. The economics change, they argue, from a large purchase and installation revenue followed by upgrade every few years to a smaller, recurring monthly fee, with the difficulty being that this means that revenues actually decrease in the first few years after making the change. The long-term advantage, however, is that instead of starting each year with zero sales on the books, subscription businesses start each year with a stable recurring revenue stream. "You're talking about shifting from an asset transfer model to a long-term relationship." Crucially, this requires a shift from a sales mentality - make the sale and move on - to a service mentality - win the customer and then stay as close to them as you can. More subtly, current accounting practices do not distinguish between historic sales and recurring revenues. The traditional manufacturing and sales model is very transaction and backwards-looking, whilst the subscription model is more relational and forward-looking. As an aside, I would note that the insurance industry has been grappling with this for years, and insurance accounting allows for the recognition of anticipated revenues in the form of 'embedded value'. However, this change in thinking could be a double-edged sword. I half suspect that it is part of what allows so many startups to burn through so much cash acquiring new customers in the hope that they will stay long enough to become profitable. Sadly, as we've have seen, if this does not come to pass, the investors may be left with little to show for it. For all the aforementioned benefits of the subscription economy, these seemed high. I was left wondering if customers who simply buy products might not stick with them for longer, on average, than that. Or perhaps, as we move towards this new business model, we're discovering just how poor many companies are at keeping their customers satisfied. Subscribed is packed with analysis and examples of industries and companies grappling with this fundamental and far-reaching change in business model. "...also a much happier business. Why? Because subscriptions are the only business model that is entirely based on the happiness of your customers." Juan José Méndez Fernández is a cyclist from the Catalan region of Spain. He has competed in the 2004, 2008 and 2012 Paralympics. 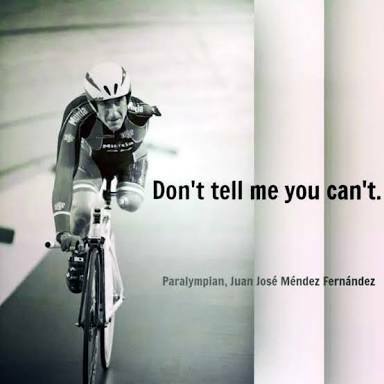 It was this picture with the caption "Don't tell me you can't" that caught my eye. What an inspiration! My mind immediately asks: what if he falls over - he has no way to brace his fall? Surely there are easier sports for a man with only one leg and one arm? But I guess that is the point. For whatever reason, he wanted to be a cyclist. And he didn't let what most of us would consider almost insurmountable limitations stop him. He adapted, and he succeeded. Of course, I quickly moved on to consider what the lessons from this are in business strategy. In business strategy, it is important to start from a balanced and realistic analysis of your current situation. There is no point in sugar-coating things. I am sure Juan did not start by simply assuming he was just like all of the other cyclists. I am sure he started by realising that he was different and that he adjusted his training plan accordingly and found someone to help him get onto the bike and upright, etc. So too, in business strategy, we recognise weaknesses and threats alongside strengths and opportunities in a SWOT Analysis when developing strategy, and risks and issues in a RAID Log when executing it. Someone once accused me of being too pessimistic because of the attention I pay to weaknesses, threats, risks and issues. It seems, sometimes, that the world only wants optimists. But I counter that the world needs neither pessimists nor optimists but only realists; that by paying sufficient attention to weaknesses, threats, risks and issues you are able to succeed despite them - or even, if you are really clever, because of them. Unfortunately, the literature plays to unrealistic optimism. People focus on success - what worked - and forget about all the difficulties and challenges along the way. Failures, and the lessons learned, fall by the wayside. But being aware of weaknesses, threats, risks and opportunities is only the first step. What do you do about them? Strengthen your weaknesses. If your organisation is weak at something you can address this directly. You can train existing staff, hire new staff, improve existing or develop new processes, upgrade equipment, move to a better location, undertake research, etc. Partner with someone who has strengths where you are weak. You don't have to go it alone. A partnership could work especially well if you can find a partner who is strong where you are weak and weak where you are strong. Avoid competing in areas where those weaknesses matter most. For example, if you lack retail marketing capability, stick to wholesaling or B2B markets; if you can't manufacture at volume, find a niche; segment your market and focus on those customers who value what you are good at more highly than what you're not good at. Take advantage of your weakness. When Spencer Silver was doing laboratory research into how to make stronger adhesives, he accidentally discovered a very weak adhesive. Instead of writing it off as a failure, he invented the Post-it note, where the weakness of the adhesive is its very strength. Monitor your threats. Make sure you have systems in place to monitor your threats as they evolve and to communicate that information to the appropriate people in the organisation. Neutralise threats. Consider what steps you could take to prevent threats from materialising. For example, in the case of a regulatory or political threat, could lobbying help to reduce the likelihood or impact of the worst possible outcomes? Prepare yourself. Take steps to prepare yourself for the possibility that the threat turns bad. For example, if it is a technological threat, start to research how it works. If it is an environmental threat, start investing now in greener options. Develop your strategy assuming the threat materialises. If the likelihood of it happening is more certain, you can simply develop your strategy around the assumption that the threat has materialised - treat the threat as if it were a weakness, and proceed as outlined above. Adapt. If the threat emerges differently to what you anticipated, at some point you have to change your strategy. Whether it is a small tweak, or a full pivot to a completely different strategy, don't be afraid to change. History is littered with failed businesses who stuck doggedly to their plans when all the evidence suggested that change was required. Dealing with risks in strategy execution is, in many ways, similar to dealing with threats in strategy development. Monitor your risks. Risks are, by definition, things that might go wrong, but have not yet gone wrong. So the first step is to actively monitor them. What indicators or signals might suggest that the risk is either increasingly or decreasingly likely to happen? Are you equipped to detect subtle changes in those indicators and signals, to communicate those changes to the key decision makers and to respond rapidly to material changes? Mitigate your risks. What can you do to reduce the likelihood that a risk does happen, or the impact on your organisation when it does? What safeguards can you build? Avoid your risks: Sometimes a risk is simply too great, and you need to come up with an alternative, less risky solution. An issue, as we know is a risk that has happened. Escalate the issue: The first thing to do is to make sure everyone knows that the issue has occurred. Go back to the drawing board: Issues are seldom a reason to go back and revise your entire strategy, but they are often a reason to go back and change your tactics for execution. Don't stick doggedly to your plan, as if the issue has not arisen. Can you work around the issue? The people who think it can't be done should get out of the way of the people doing it. PS: I could not find a proper source for the original image. If you know who made it, please drop me a note in the comments below so that I can give proper credit. At the end of another year - where does the time go - I took time to reflect on the most popular posts on the Strategic Coffee blog during 2018. Love it or loathe it, the humble SWOT analysis remains one of the most popular frameworks in the book, coming in in a respectable 10th place. See also 11 techniques to help you do a better SWOT analysis and The consistently popular SWOT analysis. This is the only case study we've ever blogged. Client confidentiality usually prevents us from writing case studies, but this one was kindly submitted by a reader. Perhaps you have another you'd like to share with us? The BCG Matrix is a portfolio analysis tool which can help you decide which subsidiary business, product or service lines you should invest in, hold or dispose of. Harvey Balls, sometimes called Booz Balls, are those little circles with 1, 2, 3, 4 or no segments coloured in. They are useful for indicating high/medium/low, or degrees of strength without being as specific as using numbers would suggest. This post provides a link to a font you can install to make them incredibly easy to use in, say, Word, Powerpoint or even Excel. At one time, I thought Porter's Value Chain had fallen from favour, replaced by more modern alternatives such as the Business Model Canvas. This post's position on this list suggests otherwise. A RAID log is a staple tool in project management. Here, we adapt it for use as a strategic management tool. The McKinsey 7S analysis makes a second appearance on this list in position 4. This time, it is a more conventional post explaining how to use it. The Strategy Canvas, popularised in Blue Ocean Strategy, is a visual tool for differentiating your proposition to set it aside from the competition. In an environment where businesses must increasingly compete not just on what they deliver (products and services) but also on how they deliver, Target Operating Models are a key consideration for strategy execution. And finally, in the top stop, our ever-popular compendium of the 9 most essential tools for Strategy Analysis. This includes a number of those lower down on this list, plus several more. In reviewing this list, it strikes me first of all that all of these articles are very practical guides on the basics of how to develop and execute strategy. I think this practical focus is heartening in a subject which can sometimes tend towards the theoretical on the one hand, and the hyperbolic on the other. Secondly, I notice that many of these articles were written some years ago - albeit that many of them have been updated several times since they were first published. That may point to the perennial nature of the subject - in a field which is constantly searching for the next big thing, many of the basics of how we do so have not changed terribly much. But it may also point to the nature of SEO (Search Engine Optimisation). Most of our readers find the blog by searching on Google or Bing and search engines favour content which has been there for a longer time. Do these posts reflect the kind of content you'd like to read on strategy development and execution? We're constantly looking for new content to keep the blog fresh, so why not let us know what type of content you'd like to see during 2019 by dropping us a note in the comments below? I'd love to hear what you think. Today, I was asked to print, complete, sign, scan and return by email a form from a financial services business of which I have been a customer for over 12 years. Fortunately, the form was only a single page. On that form, however, I was required to write my full name, not once, but three - 3! - times. it is laborious and time-consuming - think: the opposite of enjoyable. they may not have all the information to hand - OK: I did have my name to hand, but that same form also required me to fill in a tax reference number, which I did have to look up, and which I had also given them on previous occasions. they're worried about the consequences of providing incorrect information - we've all been there, some forms can be inordinately complex and cause quite a lot of anxiety. use the data they've already given you - never ask a customer to give the same information twice. build links to independent identity providers like Yoti or HatDEX, or even using Google, Facebook and/or Linkedin identity management services, depending on what is most appropriate to your business. use AI to determine and present useful defaults. In this day and age, it is no longer acceptable to expect your customer to do extra work because your systems are inadequate and disconnected. Put the customer at the centre of your business and build a customer experience that is convenient to them. Have you ever tried Spotify? Yes, I am a loyal paying customer. I presume that is where you got my email address from! When last did you listen to Spotify? Actually, I am listening to it right now. If you checked your records, you would see that. How likely are you to subscribe to Spotify's premium service? Not very likely to be honest. A second subscription would seem unnecessary while I am still paying every month for the first. Spotify, I hope you will try harder in future - I love your services, and I'd really like to help. 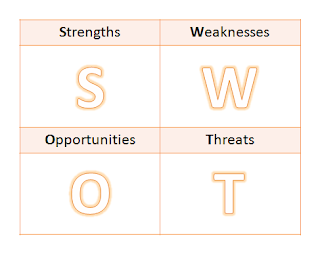 The humble SWOT analysis, which lists an organisation's Strengths, Weaknesses, Opportunities and Threats, remains one of the most popular models in strategic analysis. But is simplicity and power make it notoriously difficult to do well. Brainstorming is probably the default way of doing a SWOT analysis. Whilst it is not the most robust approach, it should not be dismissed entirely, particularly if you are looking for a very quick result or a starting point for further work using some of the other techniques described below. Brainstorming can be improved by including a broad cross-section of employees and outsiders such as consultants, customers, suppliers and distributors, as well as by making use of SWOT checklists. A much more structured approach is to start with a Business Model Canvas or enhanced Business Model Canvas of your as-is or to-be organisation. Work through each element in each section of the canvas and do a mini-SWOT of that element: evaluate your strengths and weaknesses regarding that element, and consider what trends might impact on it positively (opportunities) or negatively (threats). You don't need to have a long list of strengths, weaknesses, opportunities and threats for each element, but the process of working through them in this way will yield a much more thorough SWOT analysis. You can use a Porter's Value Chain of your as-is or to-be organisation in much the same way. If you've already used a Business Model Canvas or enhanced Business Model canvas to improve your SWOT, then you will already have considered your Core processes, so all that remains is to consider any Strengths, Weaknesses, Opportunities and Threats relating to your Support processes. A PESTEL analysis is a great way to identify a wide range of opportunities an threats your business faces. For each consideration identified in the PESTEL analysis, simply ask how it might help or hinder your organisation. You may also be able to identify threats and weaknesses by asking where your organisation is particularly well or poorly placed to respond to the trends in your PESTEL. For a very thorough analysis, consider the possible impact of every item in your PESTEL analysis against every element in your (enhanced) Business Model Canvas or Porter's Value Chain. You can use a Porter's 5 Forces analysis very much like you use your PESTEL analysis to identify opportunities and threats. 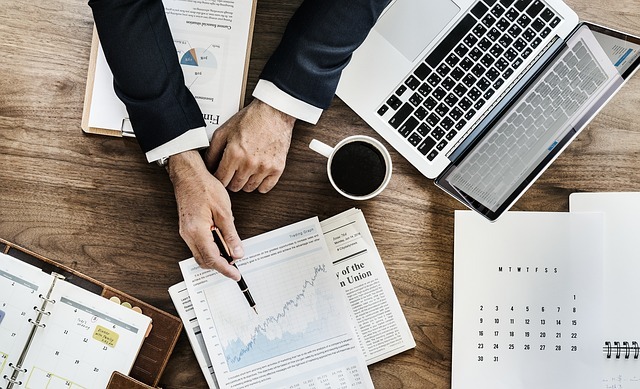 Whilst the PESTEL and Porter's 5 Forces analyses focus on factors outside of the organisation itself, a McKinsey 7S analysis looks at factors which are directly under the organisation's control. It is important to consider not just the strengths and weaknesses for each of the 7 dimensions in this analysis, but also to consider the alignment between them as a source of potential strength or weakness. If you've already used your (enhanced) Business Model Canvas to improve your SWOT, you will already have considered each of your customer segments. But don't stop there - scour all of your customer analysis for clues as to what should be in your SWOT. What do your customers say they value or don't value about your organisation's products and service, and how you deliver them? If they don't by your products and services, what do they buy instead? Competitor analysis is a great source or insight into your organisation's strength, weaknesses, opportunities and threats. Which competitors are gaining or losing market share and why? Are their target markets shifting over time? What capabilities are they investing in, and what kinds of skills are they hiring? Which employees or customers are leaving you or your competitors and where are they going? What do your competitors say in their press releases and marketing material to persuade their investors and customers that they will be successful? When listing their strengths, most organisations say things like "our people are our greatest asset" or something similar. But don't settle for that. Ask: What specifically can your people do, that customers, distributors or other stakeholders value, that is different and better than your competitors? The more specific and quantifiable you can be, the better. Usually, when you see a SWOT analysis it is in the form of simple lists of short statements of strengths, weaknesses, opportunities and threats. But don't stop there. For each statement, back it up with detailed evidence and analysis. What data support the statement? What examples illustrate it? The more detail you can provide, the more compelling your SWOT analysis will be. Don't be afraid of including contradictory evidence and data. Strategy is a complex and often ambiguous subject. If it was easy, everyone would be doing. By including contradictory evidence and data, you will increase your credibility, allow stakeholders with contrary views to feel that they have been heard, and most importantly, remain more alive to the possibility of your analysis changing as the situation evolves. Your detailed analysis could include evidence and data about not only your organisation but also about your customers, partners competitors, etc. Used correctly, these techniques will generate a vast quantity of information for your SWOT. A good SWOT analysis, however, is usually brief and to the point - highlighting the absolutely key strengths, weaknesses, opportunities and threats in a way that engages, connects with and focusses key strategic decision makers. It is therefore important to prioritise your findings. Strengths and weaknesses can be prioritised by impact, whilst opportunities and threats should be prioritised by impact and likelihood. Don't be afraid to combine related items, or separate more complex items out into their constituent parts. Once you've prioritised your SWOT analysis, exclude the least impactful or likely factors. Don't discard them, though - you may want to continue to keep an eye on them in case circumstances change and they become more significant again. StratNavApp.com supports all of these techniques in a collaborative online environment. Why not try it for free right now and start producing a better SWOT analysis that makes a real difference to your organisation? Many of the threats and opportunities we identify on SWOT and PESTEL analyses are uncertain: things that might or might not happen or things that might happen one way or another. Others are simply trends which carry with them an air of inevitability. whether the current political trend to the right will continue, etc. AI will take on ever more complex tasks previously thought to require a human to perform them. Of course, the distinction between these categories of uncertain and inevitable changes can be blurred and depend on the lens through which you look at them. But in any strategic context and time-frame, it is usually possible to distinguish between the two. How should a strategist handle these inevitables? Every inevitability will have its doubters: people who think it will not come to pass - as often as not, because they simply don't want it to happen. But as strategists, we must deal with the world the way it is, not the way we wish it were. There can be few recent examples as dramatic as the bursting of the dot.com bubble around the turn of the century. Many businesses went bust, and I am sure that small fortunes were lost. At the time many heralded this as proof that people wanted to continue to do business as they had before and that the threat of technology had been shown to be a hollow sham. However, as much of a setback as it was, the dot.com trend recovered and strengthened. Part of the strategists' role is to see through these setbacks and other anomalies and remain focused on the underlying trend. Once we've established that something is more or less certain to happen, we can stop worrying about if it will happen, and start applying our minds to when and how it will happen. The strategist should monitor such trends on an ongoing basis. Do recent events suggest that the trend is speeding up or slowing down, or likely to speed up or slow down? Are they evolving in a way which is slightly different to how they started out or where originally expected to play out? For example, Amazon changed the business of book distribution (and many other businesses!) forever. But what fewer people had anticipated was how Amazon was able to use its new-found power in the publishing industry to launch the Kindle where so many other e-readers had failed before it. Being alert to these subtle changes in a trend which seems otherwise inevitable could be a source of significant strategic advantage, especially where all of your competitors are also building their propositions around the same trend. So, perhaps it is time to go back over your SWOT and PESTEL analyses, distinguish between those which are uncertainties and those which are inevitabilities, and ensure you have appropriate sense-and-respond strategies in place for each.